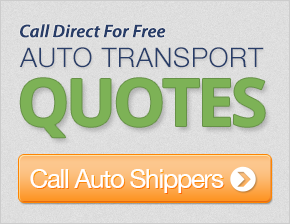 Get up to 7 free auto shipping quotes from the largest, most trusted New Jersey auto transport companies and save up to 50% on your car shipping rates at CarMoves.com. Car shipping companies in New Jersey compete for your business, which is how you can save hundreds, if not thousands of dollars on car transport services by shopping with us. Whether you're shipping a car to New Jersey, across the country, or even overseas, we can help you get the best price on your shipment - guaranteed! Read more about the following auto transport companies in New Jersey before getting a quote. Click on the name of the company to read a full review. Jayhawk Auto Transport Jayhawk Auto Transport has one of the cleanest reputations in the auto transport industry, with an A+ rating from the BBB. Their services are designed to be easy for customers, as they provide door-to-door transport for their convenience. However, the company does note that smaller trucks may make use of local terminals for the benefit of all involved. National Car Transport National Car Transport offers a seldom advertised option: rush shipping for qualifying orders. This BBB-accredited company has 12 years of experience in the auto transport industry. PayPal and credit cards are accepted forms of payment. Finally, National Car Transport has experts comfortable working with eBay Motors to ship cars from state-to-state. Get a free auto transport quote today to find out how much it costs to ship a car to or from New Jersey! New Jersey is a state that has a lot of contrasting characteristics. The state's geography is both one of beauty, hinted at by its nickname the Garden State and the particularly green landscapes that dominate parts of New Jersey, as well as extreme ugliness as a result of the state's 108 toxic dumps, a record in the country. While Jersey supports many suburban families, it also generates tons of tax dollars and income due to the adult activities present on the Atlantic City Boardwalk. It is also the most densely populated state in the country - despite being the fourth smallest! Like many other states in the Northeastern US, New Jersey has an abundance of manufacturing and industrial jobs. The state houses the largest container shipping port on the East Coast at Port Newark-Elizabeth. Pharmaceutical manufacturing and research are also very large sectors in the state. Still, the Garden State maintains a varied job market that includes jobs in the service industry, telecommunications, and also a surprising amount of agriculture. Several food products are highly farmed in the state - New Jersey is the second highest producer of blueberries in the US, and third in cranberries and spinach. Nuts, bell peppers, asparagus, and peaches are all major exported products as well. Education is also important to New Jersey residents, and, luckily, they have some of the best schools in the country to choose from. Public school spending in the state compares closely to New York's, amounting to over $16,000 spent per student. Students seeking higher education in the state have several very good options. Public students can attend Rutger's University, a public research university that ranks among the best public schools in the country. Of course, Princeton University is the cream of the crop when it comes to universities in the US, consistently tying Harvard University for the top ranking college in the nation. 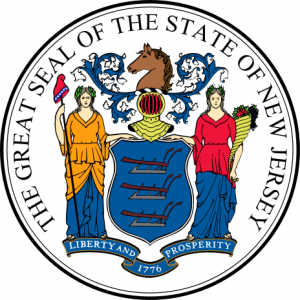 Overall, New Jersey has something for just about everybody, with adequate jobs, housing, and educational opportunities for both lower class and upper class citizens. CarMoves.com works with car shipping companies throughout the state of New Jersey. We can help you get the best prices on car transport services to the following cities in New Jersey: Newark, Jersey City, Paterson, Elizabeth, Edison, Toms River, Trenton, Clifton, Camden and many more. If you don't see your city listed, don't worry - we can get your vehicle shipped anywhere in New Jersey. Scroll to the quote section on this page to compare free auto shipping quotes from up to 7 New Jersey auto transport companies and save up to 50% on your move! View the New Jersey Department of Transportation website for more information.